Xiaomi has build its first edge-to-edge display smartphone, named Mi Mix 2. This time, they provided a gadget having 5.99-inch display also with an 18:9 aspect ratio. 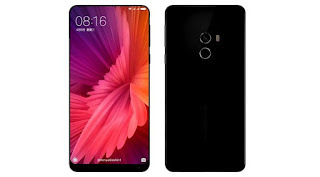 For its connectivity the Xiaomi Mi Mix 2 supports (43 4G LTE frequency bands). Above all, the Mi Mix 2 is ahead of every other smartphone in the bezel-less display race. We only await what Apple has pulled off with the new iPhone coming out. Recently, we published a post on Xiaomi Mi A1 Android One Full Specs you might also wish to check it out. What's your take about this gadget with the specs it entails...?